We are happy to share with you the 6th edition of the Global Alliance newsletter, “Struggles and Victories: Waste Pickers on the Frontline.” Throughout May and June, waste pickers’ groups and allies celebrated global and national days in honor of labor, informal recyclers, recycling, and the environment. In other labor news, at this year’s ILO Conference a delegation of waste pickers and allies began to have a presence for the first time, and a waste picker representative addressed the ILO plenary with demands. In June, the South African Waste Pickers’ Association held its national meeting. In India, there’s been an important victory for the children of waste pickers! Latin America has had a lot going on, including a workshop about gender for women waste pickers in Brazil, an ongoing struggle against privatization and repressive policies in Uruguay, and in Nicaragua, waste pickers are fighting their expulsion from the landfill they depend on. Also, the MNCR shares its stance on the protests sweeping Brazil and why activists need to be careful. And there’s more below! We invite waste pickers’ organizations to keep sending their updates so we can keep sharing global struggles and victories. If you want to be part of the editorial committee or learn how to post your own updates on the website, please write to info@globalrec.org. The goal is for this information-sharing to become more and more participatory! 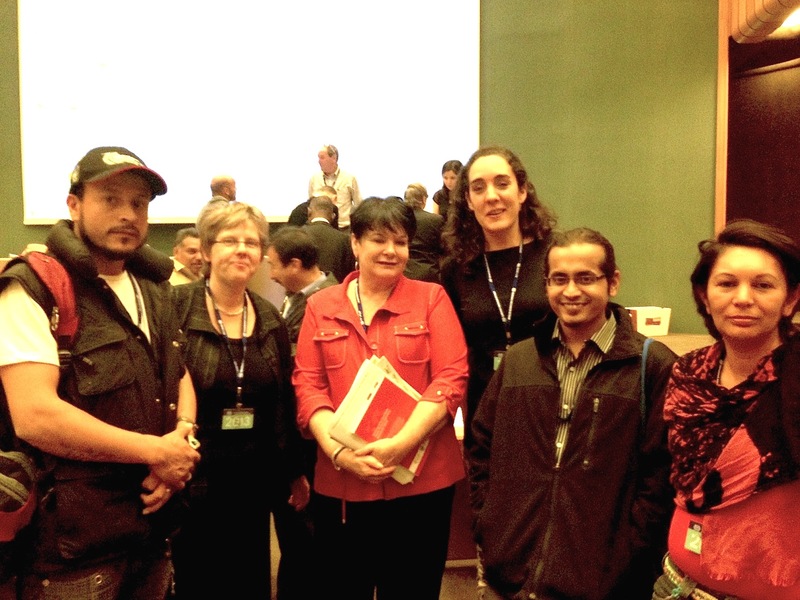 The waste pickers delegation with Sharan Burrow, general secretary of the International Trade Union Confederation (ITUC). Photo: Justina Pena-Pan. Read the speech addressed to the ILO written by the waste picker delegation and watch the video of Nohra Padilla, of Colombia, addressing the ILC plenary. Read the WIEGO position paper “Waste Pickers: the right to be recognized as workers” shared throughout the ILC. 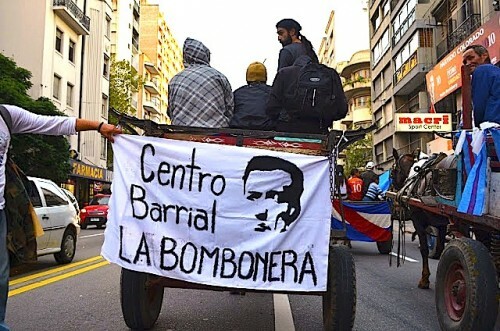 Centro Barrial La Bombonera in the National March in Uruguay. Photo: Centro Barrial la Bombonera. May and June were months full of labor and environmental activities and celebrations. On May 1st , International Labor Day, many waste pickers’ groups joined in solidarity with workers’ struggles around the world. In India, AIKMM waste pickers’ union hosted Mazdoor Chetna Sabha, an event to promote solidarity among waste collectors in northeast Delhi. On May 10th in Uruguay, the Centro Barrial La Bombonera joined the National March in Defense of Land, Water and Life, demanding the right to decent work, access to land, and an end to poverty. On May 17, Dia Mundial del Reciclaje (Global Recycling Day), ARB marched in Bogotá, Colombia. On May 18, El Ceibo celebrated Dia Mundial del Reciclaje with a recycling awareness workshop in Palermo, Argentina. The event was part of a national campaign to promote separation-at-source. Watch a video about the event (by El Ceibo). As part of Recycling Week in May, the Proyecto de Promotoras Ambientales of Argentina gave a presentation about a project for women’s environmental advocacy. 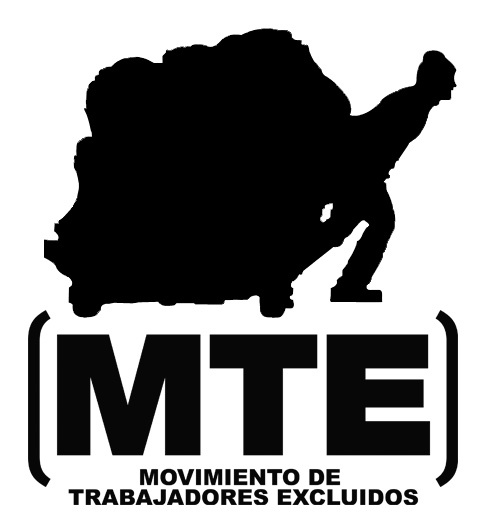 The project has the support of Socialist Party legislator Adrián Camps but it was started by the waste pickers from MTE with the support of the National Federation of Waste Pickers. On June 7th in Brazil, the catadores celebrated their National Day of Waste Pickers’ Struggle. Twelve years ago on this day, 3,000 people took over the streets surrounding the federal government buildings in Brasilia, demanding the rights of waste pickers. It was in the streets, banging pots and pans that the Brazilian National Movement (MNCR) was born. Also in June, Chintan Environmental Research and Action Group celebrated World Environment Day in New Delhi, India, raising awareness about proper disposal of e-waste. Members of the public took pledges to consume less and to switch to environmentally-friendly consumption. Catadores meet Biffins in Paris. Photo: Asso Amelior. The main theme at the 3rd Waste and Citizenship Festival hosted by France Liberté was “Solidarity-based Popular Economy in Solid Waste Management.” A Brazilian delegation of waste pickers participated in the festival as the Brazilian models of inclusive solid waste management are seen as examples around the world. The purpose of the festival is to share successful experiences in Brazil and integrate this with French institutions. 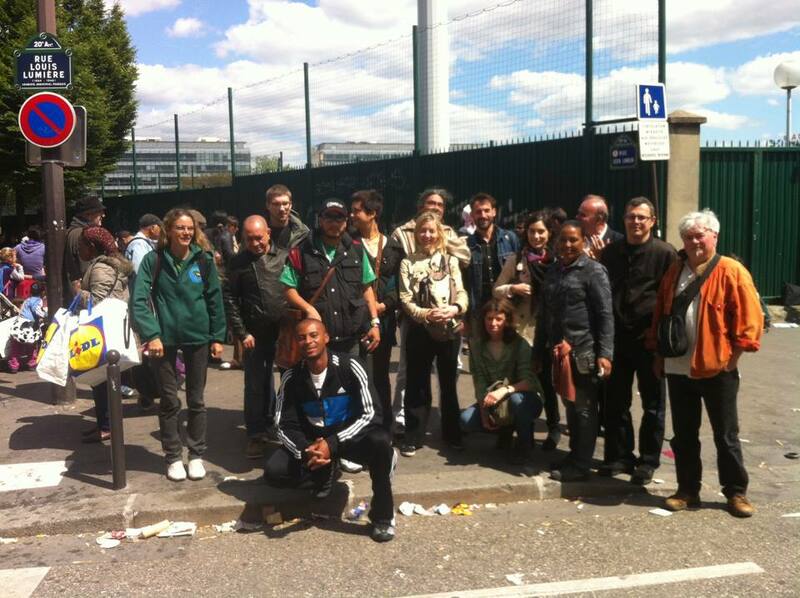 The Brazilian catadores had a chance to meet with the French biffins too when they joined them at the market where the biffins sell their materials. The waste picker delegation also visited an incinerator as part of their visit. “We entered into the mouth and the stomach of the dragon and we saw from inside and out, the truth about these incinerators. We saw that this animal is worse than we imagined…Don’t be fooled if they tell you they’ll only burn waste material. The infrastructure is so expensive and huge that only rich municipal governments like in France are able to maintain them, aside from the cost of building them,” they said. South African government delegates at waste pickers’ cooperative CooperLimpa in Diadema with municipal officials and waste picker leaders to learn about participatory and inclusive waste management models. Photo: Deia de Brito. 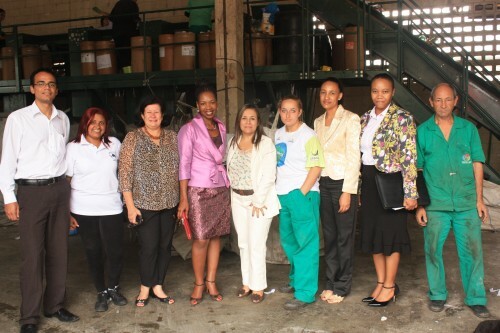 Officials from the South African Department of Environment were in Brazil and Colombia to learn about inclusive solid waste management. During its visit to Brazil, the South African delegation visited MNCR’s headquarters in São Paulo, as well as Belo Horizonte, where it visited a cooperative and met at the city hall with members of the Municipal Waste and Citizenship Forum. The last stop in Brazil was Diadema, where they visited a cooperative, learned about the city’s inclusive waste management model, and met with the mayor. Later they went on to Bogotá, Colombia, where they met with waste pickers’ movements there, some of which have changed the course of history by fighting to change the city’s waste management law. 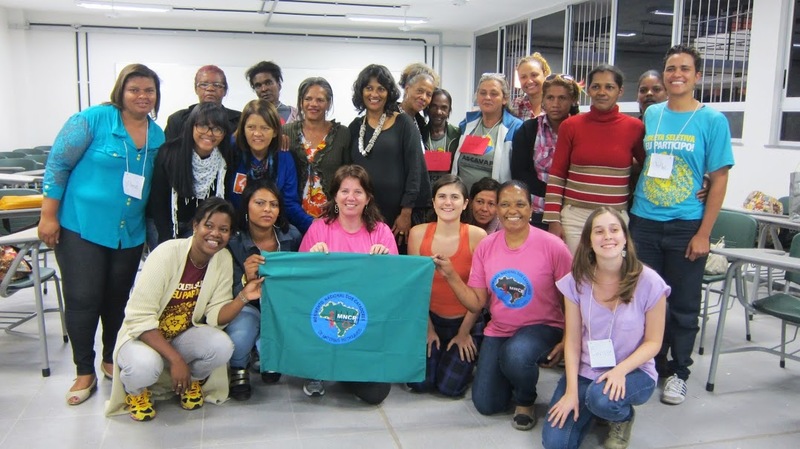 The learning exchange was facilitated by Women in Informal Employment: Globalizing and Organizing (WIEGO). See full article with photos. SAWPA National Meeting group photo. Photo: Musa Chamane. On June 19-21, SAWPA held its national meeting in Johannesburg. Eighty landfill coordinators from across the country attended. There were many new representatives too. Some of the goals of the meeting included getting updates from coordinators of ongoing projects, the number of functional, registered cooperatives, and collecting the names of waste pickers from different regions. They also discussed funding mechanisms and organizing methods. In addition, they continued making progress on SAWPA’s Constitution, which they hope to adopt at next year’s national meeting. Since 2010, thirteen cooperatives have been registered. Five cooperatives have received government funding and there are five ongoing projects. Read the full report . 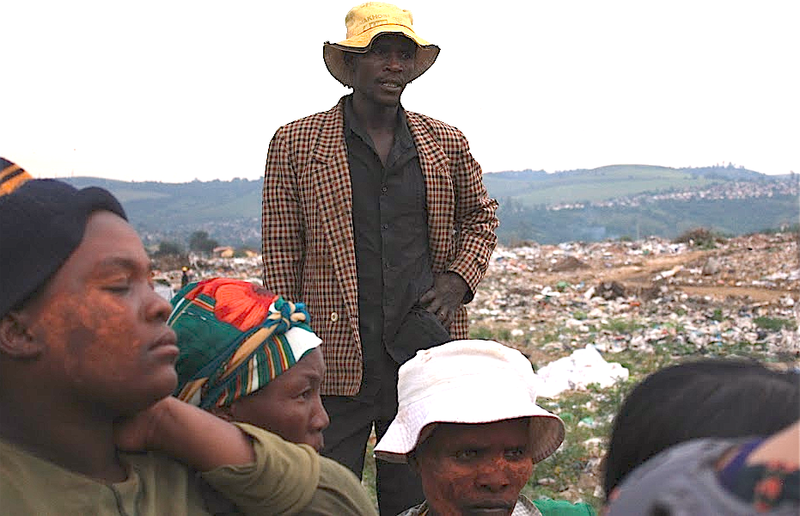 Waste pickers at Marionhill landfill, outside of Durban, South Africa, 2011. Photo: Deia de Brito. Lack of access to education is one of the many struggles that waste pickers and their children have endured, coupled by the pressure to drop out of school for lack of financial resources. While there has been a law in place since 1977 that designates educational support for the children of parents who perform “unclean” occupations, government officials have created barriers and made things difficult for waste pickers, who have been excluded from the law. But great news came in June. The children of waste pickers across India will now be eligible for the scholarship program. The changes to the scholarship program came as a result of intense pressure from waste pickers, activists and union members who had been lobbying high level officials as well as mobilizing on the local level for many years, with some important recent actions. Read the full article and see photos. Learning to Re-E-Cycle. Photo: Chintan. E-waste has become a cause for concern globally. In India in particular, consumption of electronics has fueled e-waste generation, and with this, several dilemmas. The first is how to handle so many highly toxic elements found in e-waste? The second is how to integrate the informal sector into a new handling system so they don’t lose their livelihoods? The third is who will pay for the cost of improved handling? 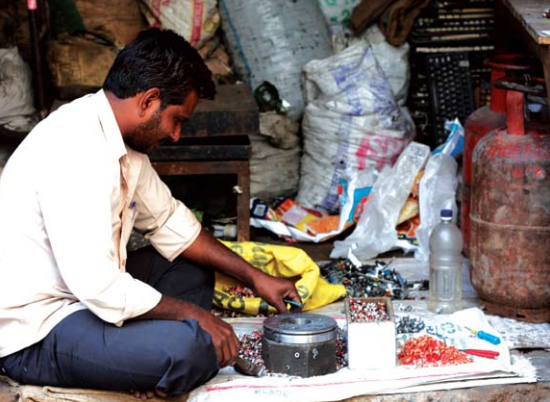 …Chintan started working in the e-waste sector in 2006 owing to the fact that a large share of its work focuses on the informal recycling sector. Recently, Chintan was authorized by the Delhi Pollution Control Committee to act as an e-waste collection centre. The journey since 2006 is described in this manual. 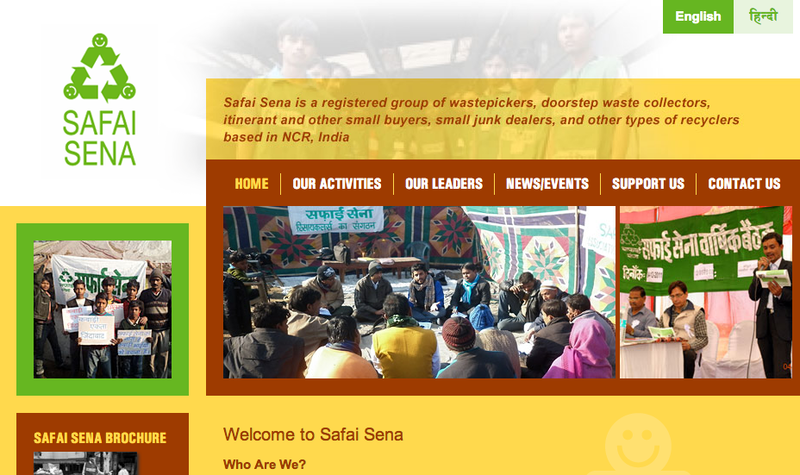 Safai Sena has a website! Safai Sena means “an army of cleaners”. It is a registered group of waste pickers, doorstep waste collectors, itinerant and other small buyers, small junk dealers, and other types of recyclers. SWaCH also has a new website! 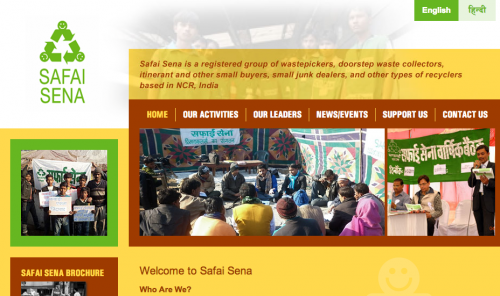 SWaCH is India’s first wholly-owned cooperative of self-employed waste pickers or waste collectors and other urban poor. Compañeros/as of the Latin American and Caribbean Network of Waste Pickers (Red Lacre), in this very moment we are living through one of the biggest violations of our right to work as waste pickers, as the municipal landfill company Chureca de Managua has displaced us from our workplace which for decades provided us with solid waste, our source of livelihood. Today begins the fight against the privatization and incineration of our treasure, our source of work!!! This is a fraternal call to Red Lacre to join in the struggle, a struggle that belongs to all of us, because what affects one, affects all of us! For the dignity of our livelihoods! 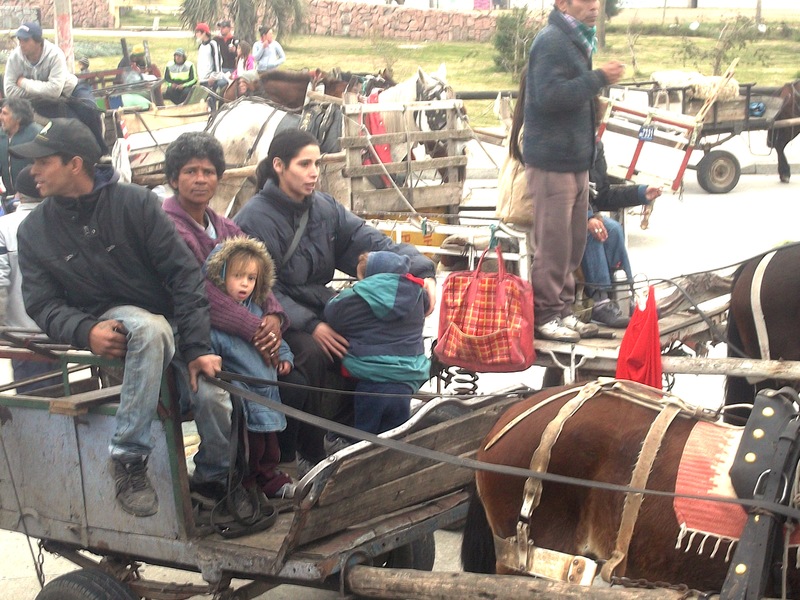 Update from David Narvaez, of Red Nica: 245 waste pickers (recicladores) were evicted by the municipal waste company and were kept from working in the landfill where we collected the materials to survive. We have been sharing photos on facebook at Red de Emprendedores Nicaragüenses del Reciclaje and a video on Youtube where you can see we were treated violently by the national police, who sprayed us with tear gas and detaining three waste pickers. 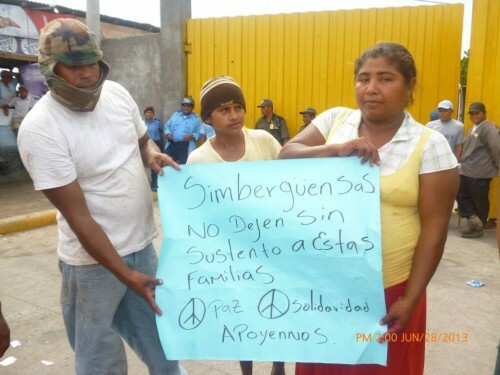 One waste picker leader was detained on July 4 who was supporting us by organizing members of the waste pickers’ cooperative “Cooperativa La Chureca Guardabarranco.” Read full post + photos. In only one day, half a million Brazilians took to the streets in several cities across the country, demonstrating their indignation on a number of themes. The majority are legitimate and necessary demands to improve the country, however, a portion of the population that has taken to the streets lacks some necessary political background, reads MNCR’s press release. The result has been very vague demands without concrete objectives, such as “against corruption”, “against the World Cup”, “against the government”, “against political parties”, “against everything”, etc. When people avoid concrete objectives and are simply moved by the enthusiasm of the protests, they make themselves easy targets for manipulation. The Brazilian elite, with the support of equally elitist media giants, tries to use popular protests to support their own interests. Read the complete statement. Felipe Rosario, communications secretariat with Red Lacre, informs that he and David Narvaez of the operations secretariat, met June 10-14 in Managua, Nicaragua, to review the advances and challenges of the second semester of the 2013 Strategic Plan for Red Lacre’s secretariats. Read press release (in Spanish). Photo from the UCRUS march in June. Photo: UCRUS. On June 21st, UCRUS, the waste pickers’ union of Uruguay, led a march in Montevideo to protest a new law approved by the municipal government that allows only private trucks to collect solid waste from non-residential buildings and excludes waste pickers from collecting materials with their horse-drawn carts. They also demanded separation at source, an inclusive recycling collection program and warehouse spaces to work; policies against privatization and incineration of solid waste, and demanded producer responsibility and payment for waste pickers. During the march, about 100 horse-drawn carts stopped traffic. Read more (in Spanish). Also present at the march were the Trade Union Central PIT-CNT and in solidarity from Argentina, members of the Federation of Waste Pickers of Argentina (Federación de Cartoneros y Recicladores de Argentina). The Federation wrote a statement expressing its solidarity with UCRUS’ struggle for recognition and dignity for waste pickers. Article + photos (in Spanish). Also in Uruguay, a group called Coordinadora Pro-Clasificadores that supports waste pickers’ struggles, drafted a Declaration (Declaración Constitutiva Coordinadora Pro-Clasificadores) with a number of demands. These include recognizing waste pickers as workers, strengthening and formalizing their livelihood, and creating policies that allow them to sell recyclables formally and directly and at fair prices. On May 21st, a group of organizations in Argentina denounced the Buenos Aires government for another act of privatization that affects waste pickers and their worker allies in the cooperative textile sector. The municipal government took the job out of the hands of a local textile workers’ cooperative and handed it to an insider company, SAGUMAT SA. Without any notice, the city government began demanding much higher prices for the uniforms, which arrived very late and with defects. The groups that signed the document demand that the city government comply with its waste management contract, which says that the waste pickers’ uniforms must be made by textile cooperatives. The group demanded an investigation into these irregularities and audit of the private company to see whether it has outsourced the uniforms to sweatshops. Press release (in Spanish). Group photo with the participants of the gender project in Minas Gerais. The empowerment of women does not mean the exclusion of men. It means contributing to the emancipation of all people, men and women. It was with this idea in mind that the Latin American Waste Pickers’ Network (Red Lacre), the National Movement of Waste Pickers in Brazil (MNCR), and Women in Informal Employment: Globalizing and Organizing (WIEGO) began discussing in 2012 the importance of opening up a dialogue about gender in the context of informal recycling. Taking advantage of an existing relationship with the Center for Study and Research on Women (NEPEM) of the Federal University of Minas Gerais (UFMG), members of these groups decided to start a pilot project in Minas Gerais that would explore themes for a future waste pickers’ program about gender for Brazil and Latin America. Read more and see photos (in English).